The St. Louis Cardinals promote responsible drinking and positive fan behavior at Busch Stadium. 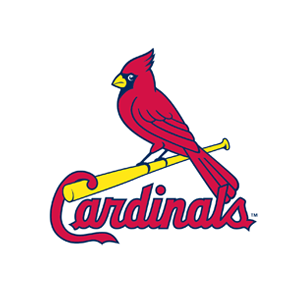 The Cardinals Fan Code of Conduct and the details of the Cardinals alcohol management plan that appear below ensure that fans have a safe and fun experience. The St. Louis Cardinals are committed to creating a safe, clean, fun, family-friendly ballpark experience. Our staff has been trained to proactively intervene where necessary to help ensure a family environment. Guests will enjoy the baseball experience free from disruptive behavior, foul/abusive language or obscene gestures. Guests will sit in their ticketed seat and show their ticket when requested. Obscene or indecent clothing will not detract from the guest experience. Guests will comply with requests from stadium staff regarding stadium operations and emergency response procedures. The St. Louis Cardinals appreciate that all guests observe our Ground Rules for Fans while attending ball games at Busch Stadium. Working together with our fans to provide a positive experience is our goal. Please contact the nearest usher if for any reason another guest is interfering with your enjoyment of the game. Guests who choose not to adhere to these Ground Rules may be in violation of stadium/city ordinances and are subject to intervention, which may lead to ejection and/or arrest. The Cardinals, Budweiser, Delaware North Sportservice and TEAM Coalition have teamed up to implement the Budweiser Good Sport Designated Driver Program. Guests may sign up at kiosks next to Guest Relations on Level 1 or Level 4 to be a designated driver for the game and receive a free key chain (for the first 40 guests only) and a free soda or O’Doul’s. Designated Drivers may also be eligible for prizes and recognition on the message board. You must be 21 years or older and have a valid driver’s license to participate. The cutoff time to sign up is the middle of the 1st inning.